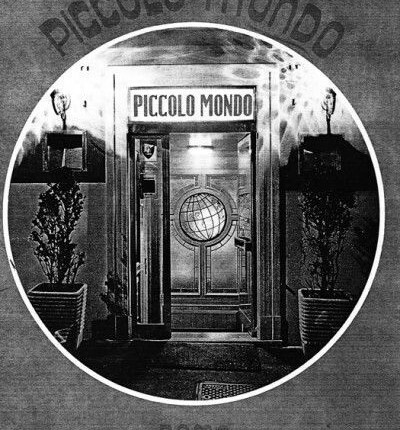 In the “il Piccolo Mondo” restaurant, teamwork is fundamental, also because the working pace, considering that the restaurant is always open, demand a significant organization. 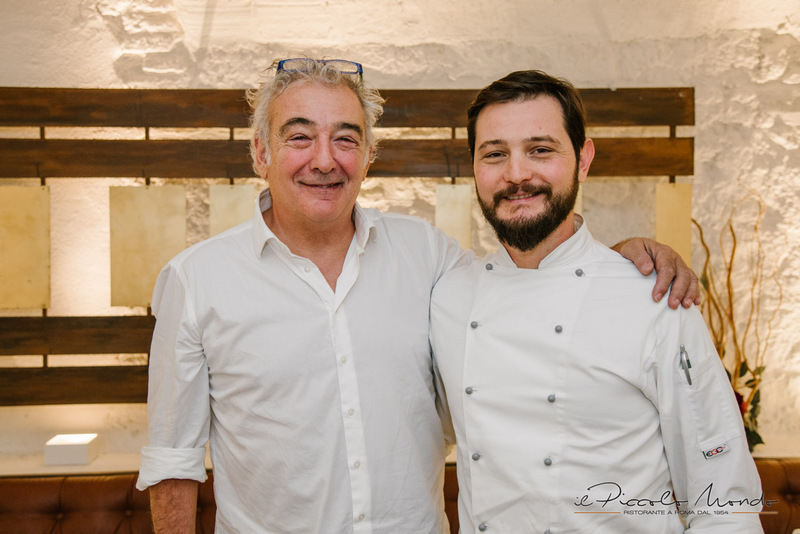 The owner, Stefano Ajelli, and the director, Fabio Veneziani, aim at an impeccable service, that makes the customer feel cuddled in every way, both in every day service at lunch and dinner and in the event of company or private parties with a lot of guests. Currently, the head chef is Romeo Simoncini. The chef Romeo Simoncini studied in one of the best cooking schools of Rome “A Tavola Con Lo Chef”, where he attended the most important professional cooking course in the program. Student of the legendary chef and teacher Antonio Chiappini, Romeo worked for almost two years at the “Tre Bicchieri” winery (a small and renowned gourmet restaurant in Ostia, founded by Chiappini) refining the technique and the exclusive fish dishes, in a brigade of young talents that are now famous chefs, such as Marco Claroni, current owner of “L’Osteria dell’Orologio”. 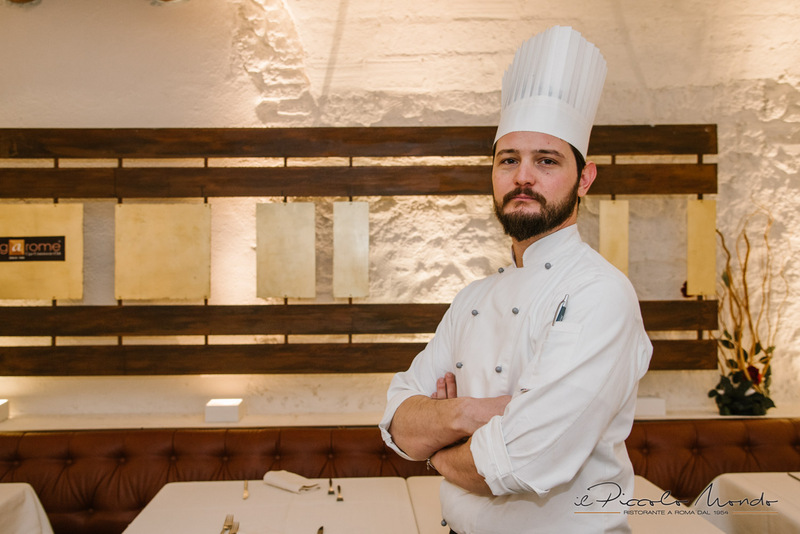 After the school and the gourmet restaurant, Romeo Simoncini continued his career working in a farmhouse and then, in 2010, gets in our restaurant, as sous chef of Kristjan Kocjan. 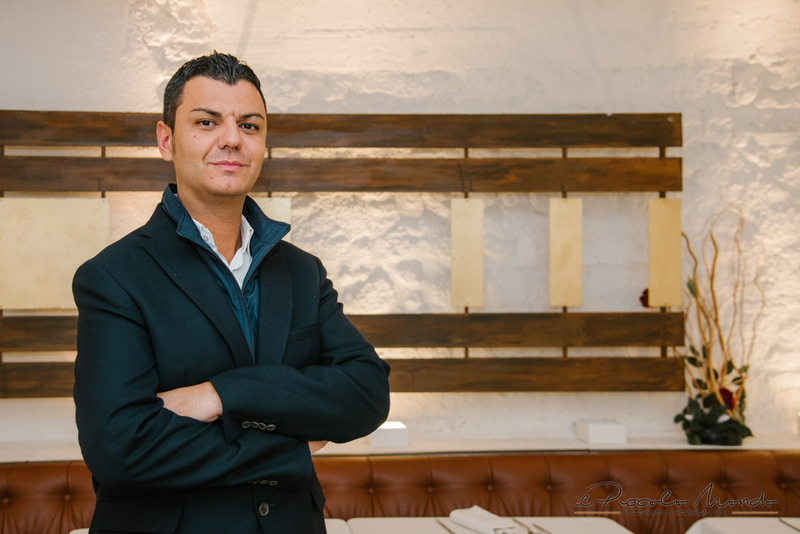 Today Romeo Simoncini is the head chef of the restaurant “il Piccolo Mondo”, bringing the traditions into the future with innovative elements to discover.